June | 2011 | Ipoh Mali Talak Sombong! 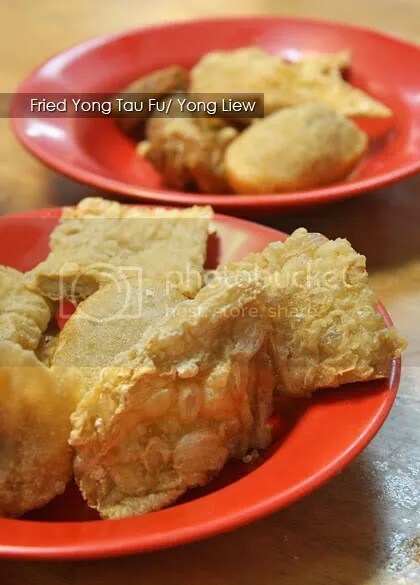 Yut Kee – a name that most KL folks aware of. 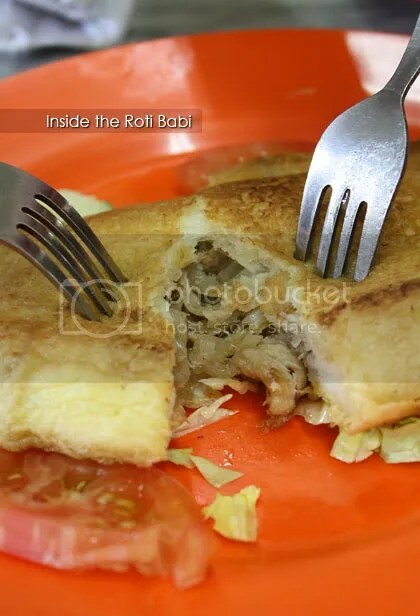 In fact, when you Google about Yut Kee, you’ll see tons of food blog links on this icon of Kuala Lumpur, raving about their famous Roti Babi (pork sandwich), Hainanese chicken chop and so on. The heart of KL is one place I would stay away especially during peak hour, but on a bright Sunday morning, the usual horrendous traffic jam is no where to be found – much to my delight. Therefore, we finally found our way here to check out one of KL’s remaining Hainanese coffee shops in town. If possible, I would really love to order everything they have on the menu, but alas, the two of us only managed to have 3 items, plus two iced milk coffee. 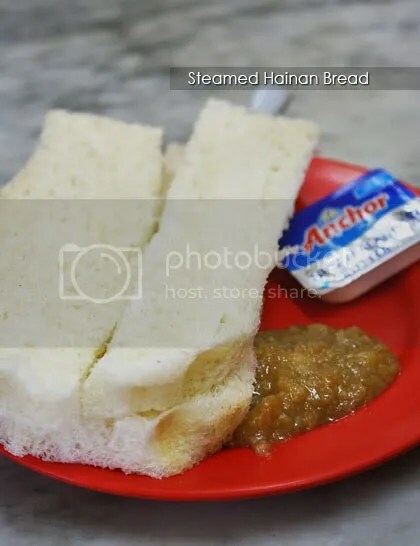 The steamed version of the toast with home-made kaya (coconut jam) was a pretty standard fare but we like the kaya for its thick consistency, egg-y aroma and not too sweet to the palate. While waiting for our other orders to arrive, I sweeped my camera around for pictures and then it struck me. This place has an air around it, most possibly similar to those back in Ipoh. The atmosphere filled with noisy chatters of the patrons from all walks of life (multi-generational families! ), the old-fashioned tiles, aroma of freshly brewed coffee permeates the air, the round marble-topped dining tables etc. How long was it since my last visit to such nostalgic eatery like this that I used to grew up with? 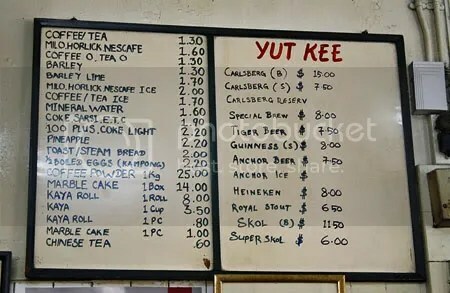 Although I only been here once, but I was saddened by the news that the 83 years old Yut Kee would only have approximately one year more to continue its business at the current location. The owner of the premise apparently have plans to redevelop the area. It seems like “change” is inevitable in these modern days, where history would have to make way for progress and developments. 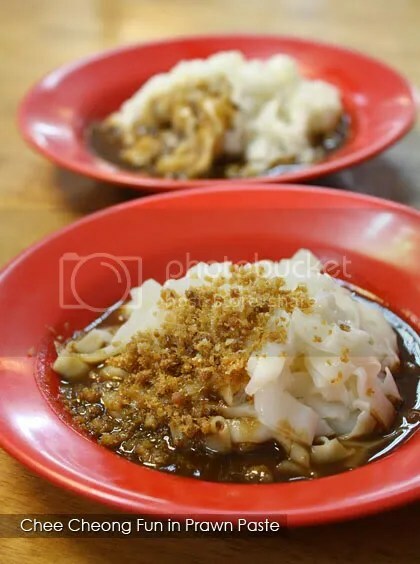 For those regulars who have been a loyal customers to Yut Kee all these years, it is definitely something hard to accept, especially the ambiance that they have accustomed to for so long. But heck, that doesn’t mean Yut Kee will stop their business. They will relocated to a new premise, possibly to Bodhi Tree restaurant which is also managed by the same Lee family. The Roti Babi (RM 7.50) arrives and my dining companion was not impressed. Egg-coated and fried, the bread was stuffed with shredded pork, crabmeat and onions (some praise lyrical on the additional waxed Chinese sausage but we found none) but taste-wise, I think my dining companion was right. 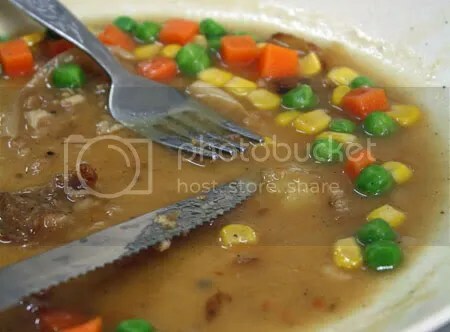 It was a bit bland. We realized it too late that we should have added a few dash of Lea Perrins Worchestershire sauce… by that time, we’ve wallopped everything down. That thought alone warrants another trip, don’t you agree? 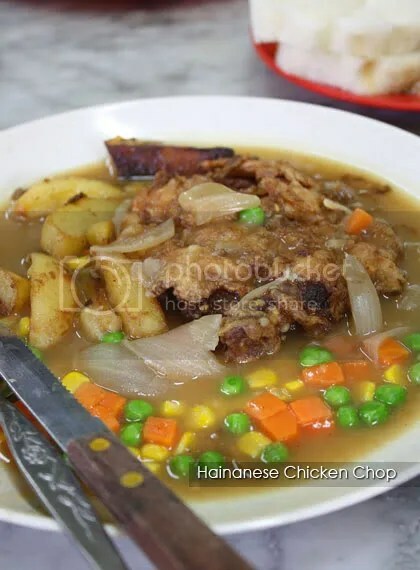 Yut Kee is also famous for their other Hainanese fare, such as the Hainanese Chicken Chop (RM 7.00), which is served drenched in Lea Perrins Worcestershire sauce-infused brown gravy, plenty of onions, mix vegetables, tomato and potato wedges. The chicken fillet was succulent, juicy and the best part, it was the lightly-battered. Very much reminds me of mom’s cooking (especially her fried chicken), where simple marinade would be sufficient to do the trick. 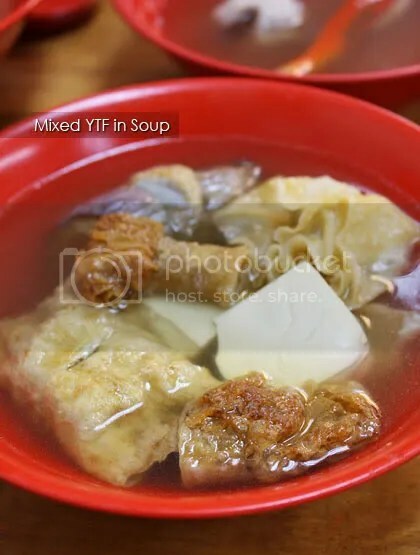 Let’s hope that miracle would happen and Yut Kee would still be seen standing strong on its current location when the time comes. Need more info? Click HERE for dozens of links! 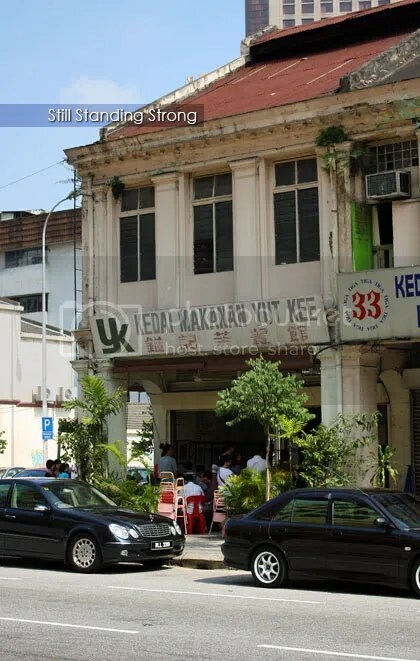 *Updates: Yap Hup Kee undergone a major refurbishment and now changed its name to AK3 or A3. It is unsure whether it is still under the same management or not, but we noticed there is a slight increase in price. Apologize for the long hiatus from blogging world; travelling and classes have taken a toll on my schedule and daily lives, haha. Let’s get down to business, here’s another post for DU Project on one of our favourite lunch place in Uptown. 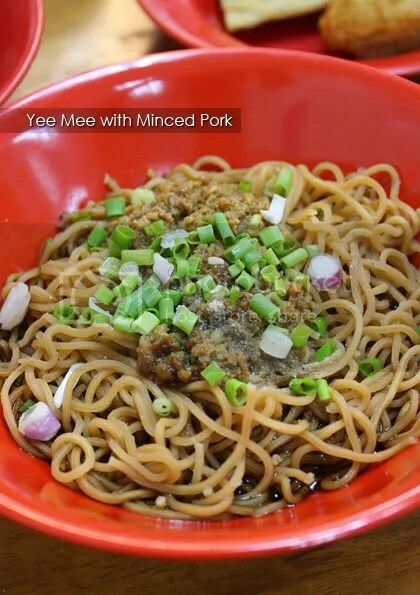 Located on the same row as Chef Choi’s salted chicken restaurant and The Ship, Yap Hup Kee has another branch in Pudu, KL as well. 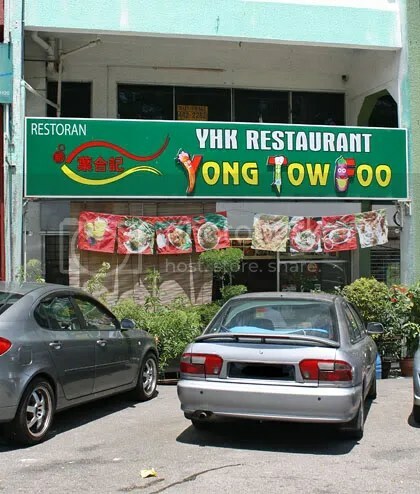 They serve mainly yong tau foo (YTF) with noodles, chee cheong fun or rice but they also have steamboat (dinner only if I remembers correctly), a la carte dishes like assam fish, vegetables and so on. 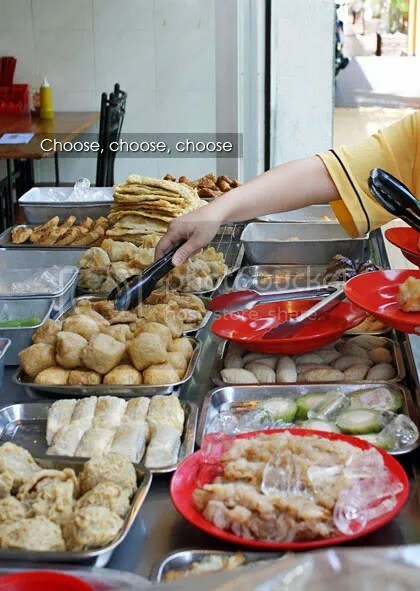 Pick whatever you want from the selection of YTF, such as the fried wantan with salted egg yolk, beancurd sheets, stuffed hard-boiled eggs, red chillies, lady fingers (okra), brinjal/eggplant, fish balls, pork balls (love their pork balls! ), vegetables, beancurd, deep fried intestines and so on, but beware that each piece costs RM1.00 (price raise from previously RM0.90 per piece). Pass them to the foreign worker lady and get your seat. Then only you order your noodles and drinks. For the fried items, they will usually re-fry them again before serving, so you’ll enjoy them piping hot and crispy. As for those vegetable-based, they dunk them into a bowl of clear broth and serve separately from the fried stuff. The chee cheong fun here is pretty good but small in portion (guys would really need to order two). Pick your sauces, ranged from curry to sweet sauce and also the fermented prawn paste (har kou). The additional crushed dried shrimp provides textural contrast to the rice rolls. 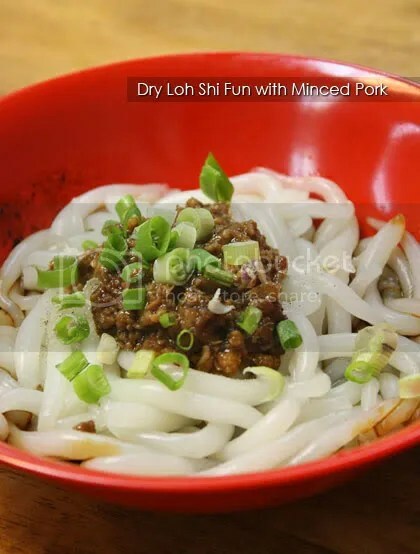 If you’re going for their noodles instead of rice or chee cheong fun, their dry versions of the noodles are highly recommended, because they would add a dollop of braised minced pork on it! 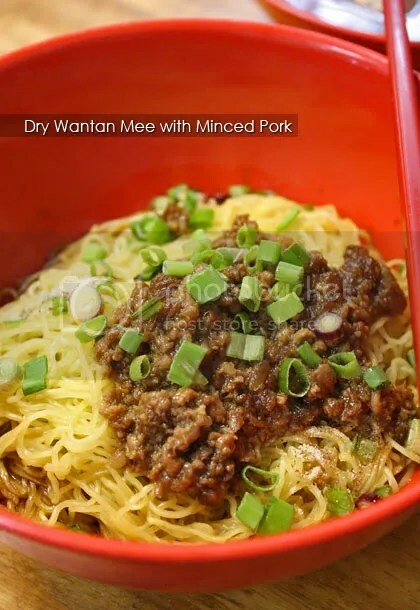 The normal, plain noodles are elevated to new heights with the additional braised minced pork, which adds a flavourful kick to the palate. For drinks, try their quirky combination of barley and pumpkin.